The staff was great and willing to help with whatever need we had, very respectfull too. The place was really clean and breakfast on the 11th floor was awesome, definitely a must. Having utensils in the kitchen was a plus for the days we stayed. Muy cómodo el departamento. Muy amable el personal del hotel. El desayuno muy bueno, el apartamento muy cómodo, lindo y una vista espectacular. La comodidad y confort de la habitación, muy amplia, con aire acondicionado y tv en ambos ambientes, la cocina muy bien equipada, y la vista hermosa. El desayuno rico, la atención del personal muy buena, y la limpieza excelente. Además, tiene gimnasio, patio con juegos para niños, salón con parrillas muy amplio, salón con metegol, tejo. Tiene pileta climatizada y por último, está en la zona céntrica. El desayuno era muy completo, servido en el piso 11 con vista panorámica. La ubicación del hotel con parking incluido en una zona céntrica pero de fácil acceso. La calidad y distribución del apart excelente. La atención del personal fue de total cordialidad. La pileta, la buena onda de los empleadxs, el tejo, la limpieza. Todxs los recepcionistxs tenían muy buena onda para responder nuestras dudas. Y las chicas del desayuno siempre muy atentas a que no falte nada. El desayuno, la ubicación, la pileta y el confort. 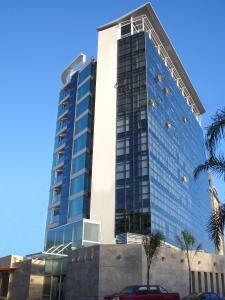 Lock in a great price for Amérian Carlos Paz & Suites – rated 9.3 by recent guests! Amérian Carlos Paz & Suites This rating is a reflection of how the property compares to the industry standard when it comes to price, facilities and services available. It's based on a self-evaluation by the property. Use this rating to help choose your stay! 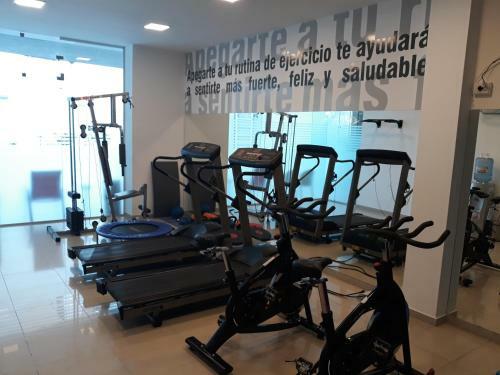 One of our top picks in Villa Carlos Paz.Featuring an outdoor pool, a fitness center and a restaurant, Amerian Carlos Paz & Suites offers self-catering apartments with free Wi-Fi and plasma TVs in Villa Carlos Paz. Free parking is provided. The commercial area is 150 feet away. Decorated with tiled floors and modern furnishing, apartments at Amerian Carlos Paz & Suites are fitted with air conditioning and heating. All of them have fully-equipped kitchen and a dining area. International dishes can be ordered at Mirador Restaurant, which is located on the top floor and afford scenic city views. Guests can make use of the shared barbecue facilities, subjected to availability. Amerian Carlos Paz & Suites is 1,150 feet from the bus terminal and 28 mi from Ambrosio Taravella International Airport. This is our guests' favorite part of Villa Carlos Paz, according to independent reviews. This property also has one of the top-rated locations in Villa Carlos Paz! Guests are happier about it compared to other properties in the area. This property is also rated for the best value in Villa Carlos Paz! Guests are getting more for their money when compared to other properties in this city. 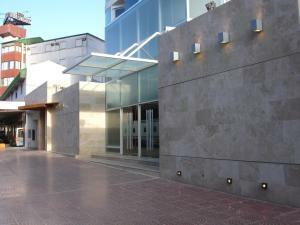 뀐 Located in the top-rated area in Villa Carlos Paz, this property has an excellent location score of 9.7! When would you like to stay at Amérian Carlos Paz & Suites? One bedroom apartment with fully equipped kitchen. Two Bedroom apartment featuring a fully equipped kitchen and 2 bathrooms. Amérian Hotels combines the virtues of the most prestigious international hotel chains with a professional adaptation to the characteristics and idiosyncrasy of the regional marketplace. Come and enjoy our impeccable services, you won´t regret it! Our staff offers all the assistance oriented to satisfy guests in their business or leisure trips. House Rules Amérian Carlos Paz & Suites takes special requests – add in the next step! Amérian Carlos Paz &amp; Suites accepts these cards and reserves the right to temporarily hold an amount prior to arrival. Amérian Carlos Paz & Suites accepts these cards and reserves the right to temporarily hold an amount prior to arrival. Note that guests must be over 18 years old in order to book. All guests under this age can only check-in with an adult. Excelente amplio y super confortables. The glass wall on the shower was 2 inches small, making impossible to not make a mess every time I showered. (I'm 6 feet tall). To get the eggs at breakfast you have to order them to the staff, we didn't realize that until the last morning, there are no signs about it.